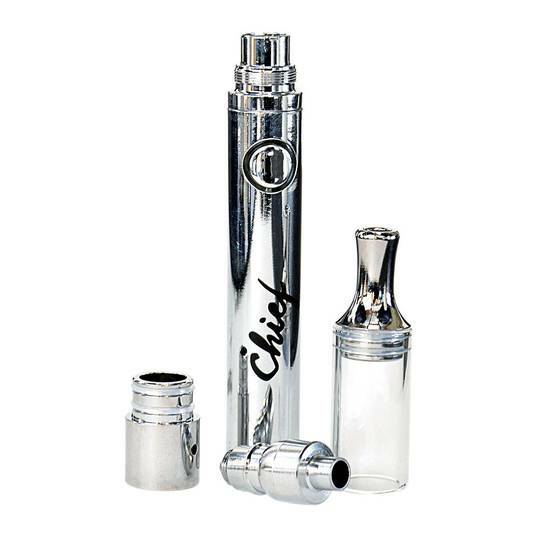 Designed for the connoisseur with the Midas touch, the chrome Staylit Chief Vaporizer Pen Kit is a cost effective alternative to vaporizing wax concentrates with style. Each vaporizer kit features an ultramodern 650mah battery and gold coiled atomizer made for vaporizing concentrates just below their combustion point, for optimal use. 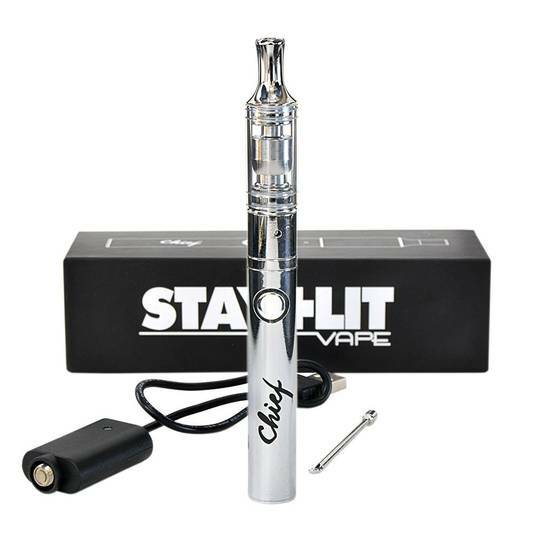 The kit also comes equipped with its own USB charger for charging the device, as well as a dabber tool for placing wax concentrates onto the titanium grade coil.